The Cast Iron Plant really lives up to its name, thriving on neglect, and keeping going long after other plants give up. 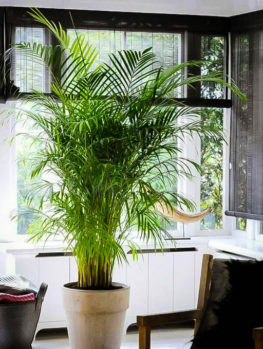 This is the ideal houseplant for dark rooms and dark corners, since it grows in very low light levels. 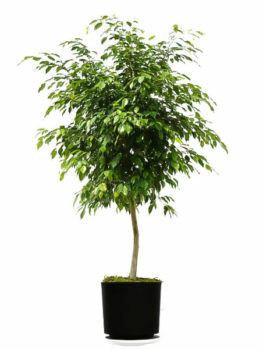 It also tolerates low humidity without the leaf tips browning, or the foliage spotting. 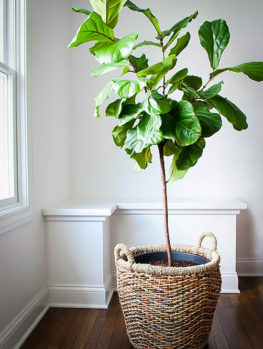 It will survive in cold rooms as well as in hot ones, and if you forget to water it, it will probably thank you, since it hates being wet, and is happy with just the occasional watering. 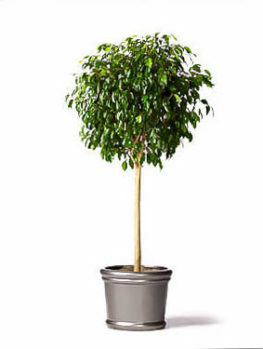 If you can never keep houseplants alive, try this one, which is very hard to kill. In warmer areas, use it outdoors in deep shade, and in dry, difficult areas where nothing else will grow. 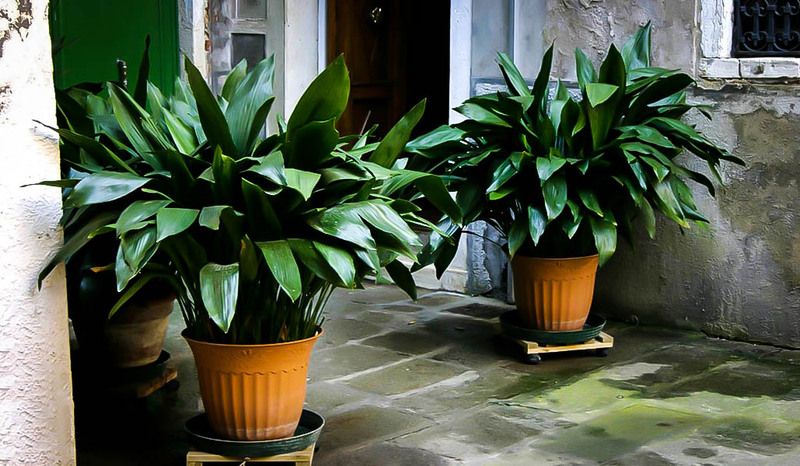 It is a great container plant, indoors or out, and a way to bring green to the toughest places. The Cast Iron Plant grows in partial or full shade. 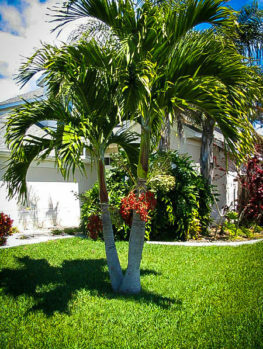 It does not like full sun, or even much direct sun at all, as this will yellow and bleach the leaves. It can stand cold temperatures down to 20 degrees Fahrenheit, so it grows all year round in zone 9, and for much of the year in zones 7 and 8. When the forecast is for colder conditions, just move the pots into a shed or cold garage until things warm up a little. If dry they don’t even need light for a few weeks. Plant in well-drained soil or use a fast-draining potting soil. Only water when the soil is dry, as this plant will tolerate plenty of drought too. Indoors or out, the Cast Iron Plant lives up to its name. Can you never keep houseplants alive? Do you have a very dark house? The Cast Iron Plant is the answer. Do you live in warmer areas, with deep, dry shade in your garden? The Cast Iron Plant is there to help. This may not be the world’s most beautiful plant, although the long, oval lives have a certain simple beauty, but it certainly is one of the world’s toughest plant, surviving under conditions where other plants simply give up and die. The Cast Iron Plant is grown primarily for its foliage. The leaves are up to 3 feet long, although indoors they are more typically 1 to 2 feet long. They have a smooth outline, and are shaped like the tip of a spear, slowly tapering from a broad center to a point at both ends, with a long stalk attaching the leaf to the underground stem. The leaves are a rich dark-green color, with a semi-shiny surface. The plant does flower, but the flowers, which look like tiny bowls with purple centers, are insignificant and usually not even noticed, as they are small and appear at ground level. Plants indoors rarely flower at all. This plant spread slowly by underground stems, called rhizomes, which send up new leaves as the grow outwards. In that way a plant will fill a pot with more leaves or spread to form a dense ground-cover outdoors. Let’s consider the Cast Iron Plant as a houseplant first. Indoors this is one of the very toughest plants you can find. It tolerates deep shade, so it will grow even in the corners of dark rooms. Under those conditions it will grow slowly, but it is unlikely to ever die, no matter how harsh the conditions are. It survives in dry, low-humidity indoor environments, where other plants brown along the edges and tips, from the dry air. It also tolerates big swings in temperature, from almost freezing to hot, so if you go away and turn down the heat, it will survive. As well, it tolerates long periods of dryness, in fact, it grows better if the soil is regularly dry rather than if you fuss and keep your plants wet all the time – it thrives on neglect! Place on a table or on the floor, the Cast Iron Plant is a great way to bring foliage into your home without taking on the job of caring for a sensitive plant. But the use of this plant doesn’t end there. If you have a shady porch, or an entrance-way out of the sun, then this is a wonderful plant to put into a planter or decorative pot, to liven up the area without creating work. This plant lives for years and years and years, slowly enlarging, but never making work or looking unsightly. Eventually a leaf may turn brown. Just snip it off at ground level and everything is OK again. If the leaves become dusty, clean them with a standard house-plant leaf cleaner spray. It is normally pest and disease free, so everything is fine in that department too. In zones 9 and 10, the Cast Iron Plant is a very useful plant outdoors for those difficult shady areas. It spreads slowly to create a dense, weed-resistant ground cover up to 3 feet tall. In areas underneath trees, or in shady corners, it is the toughest plant available for dark and dry spots. It can be used to edge pathways through darker areas, or to surround specimen trees planted in shady paved areas. It can also be grown in pots and planters, adding interest without adding work. 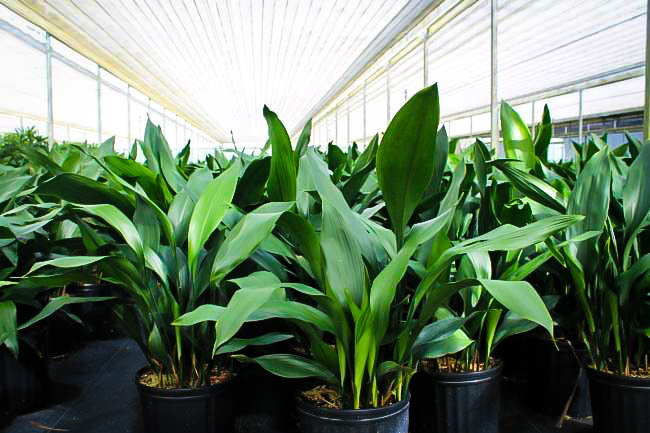 The Cast Iron Plant will grow in partial or full shade, in any well-drained soil. 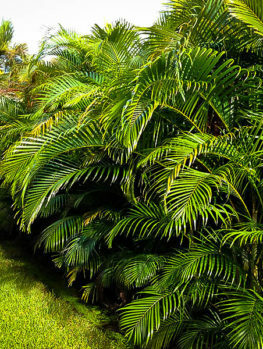 Direct sun will cause yellowing and bleaching of the leaves, so always choose a spot that is poorly lit and shady. This plant benefits from the addition of organic material at planting time, and as an occasional mulch, worked in between the leaf stalks. It will survive temperatures down to 20 degrees Fahrenheit, so even if you live in slightly cooler areas, pots of this plant can be left outside most of the year, and just given some protection during periods when the temperature falls below 20. A shed or garage will be fine, if it does not get too cold. Outdoor plants are normally not affected by pests. 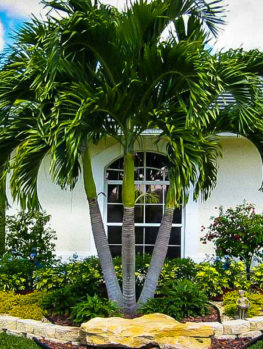 In wet soil, or if overwatered, the roots may rot, so grow this plant in well-drained soil, and avoid overwatering. 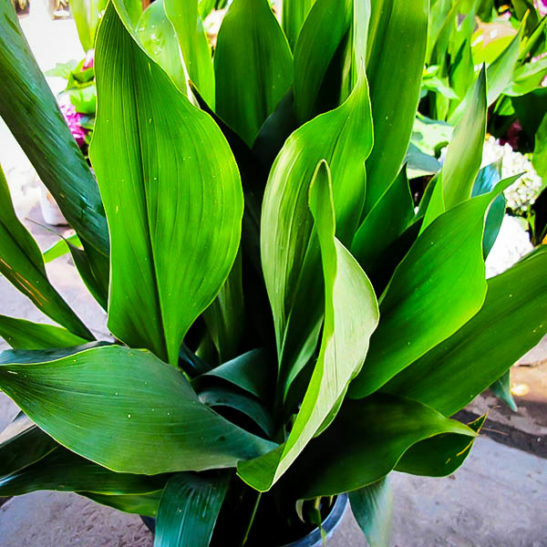 The Cast Iron Plant (Aspidistra elatior) grows in shady woodlands in Taiwan, and on the many southern islands of Japan. It has evolved for shade, which is why it works so well for us in the shady parts of our gardens and homes. Our plants are produced by division of the sturdiest plants, not from seed, so they are always uniformly vigorous. Despite its hardiness, this plant is not often offered by nurseries, so we anticipate high demand. 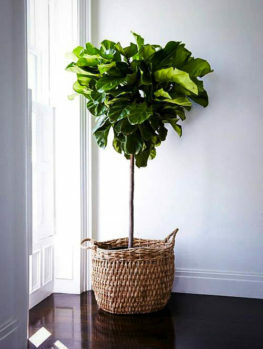 Order now while our stocks last or consider some other popular houseplants like the Madagascar Dragon Tree and the Fiddle Leaf Fig Tree.